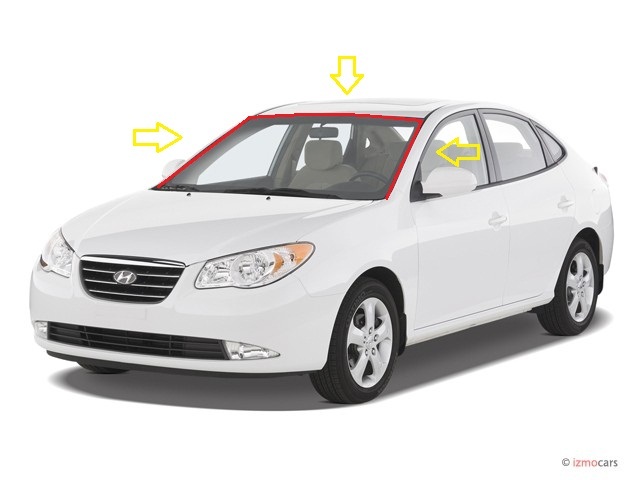 This is Huyndai Elantra 2007-2011 windshield seal that installing around the windshield glass (the front glass) . - Huyndai Elantra 2007 - 2011 . - or any car be the same look that clarified in the pictures .